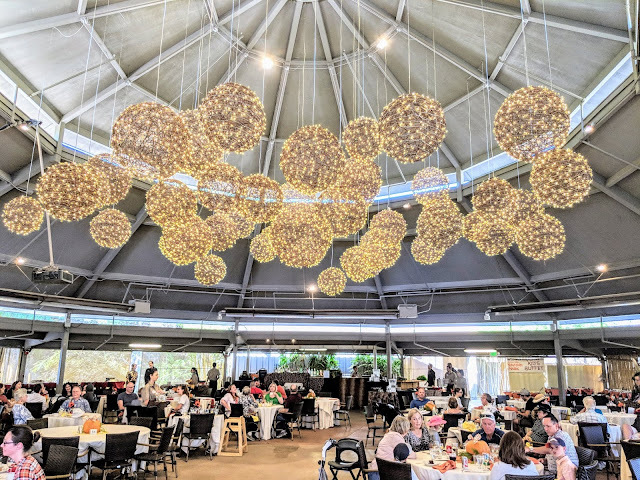 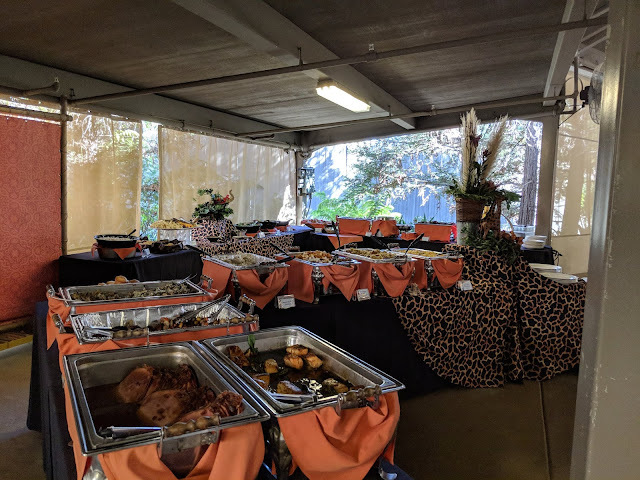 Celebrate Thanksgiving Day at the San Diego Zoo Safari Park, where you can enjoy a lavish buffet with Thanksgiving favorites and chef's specialties, as well as a special selection just for kids. 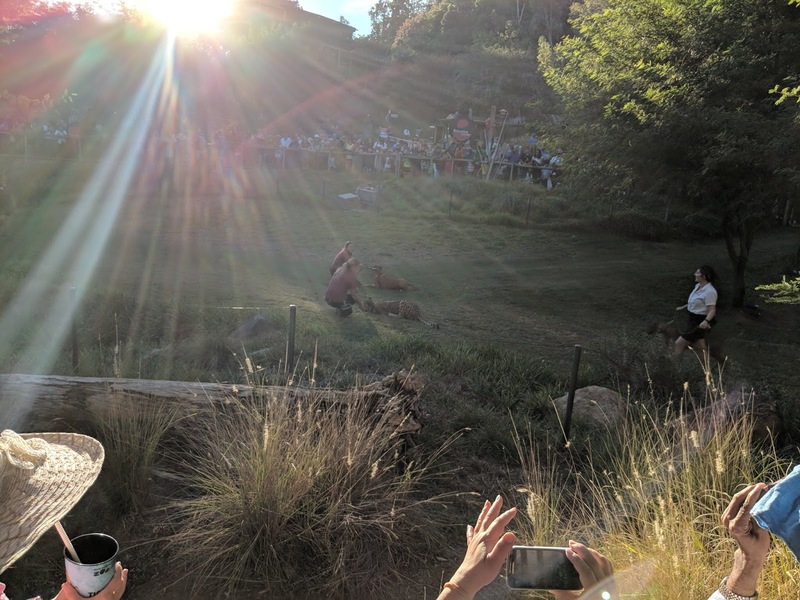 What do you need to know and what can you expect if you decide to attend this event? 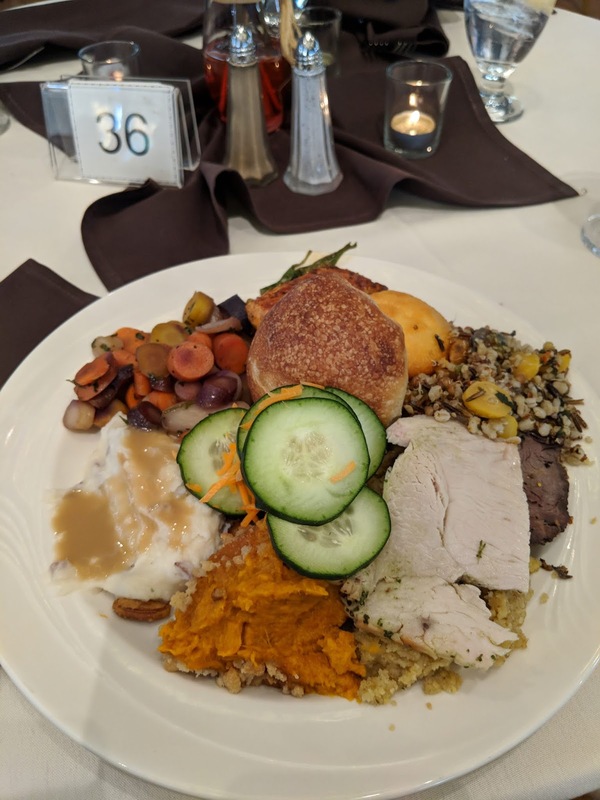 Read more for details and tips from our experience attending this wonderful event. 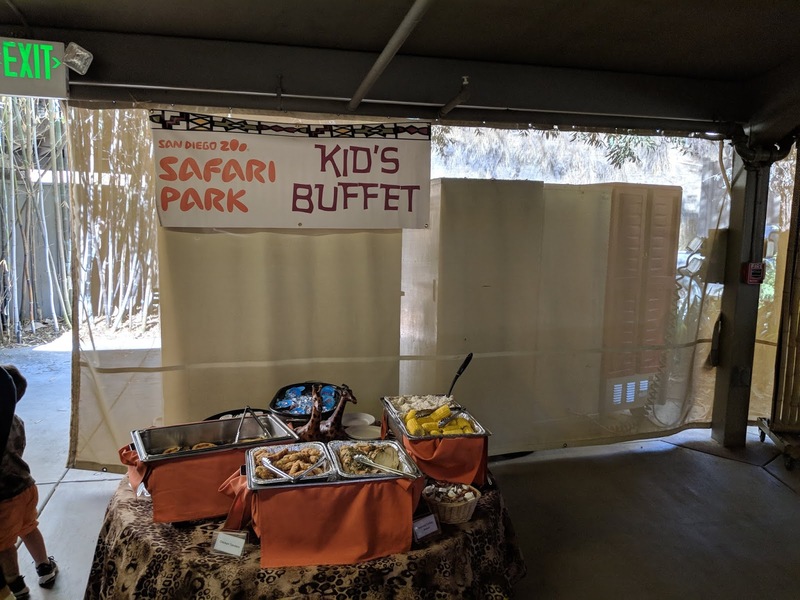 Cost: $49.95 for adults and $19.95 for children ages 3 to 11; plus tax and parking. 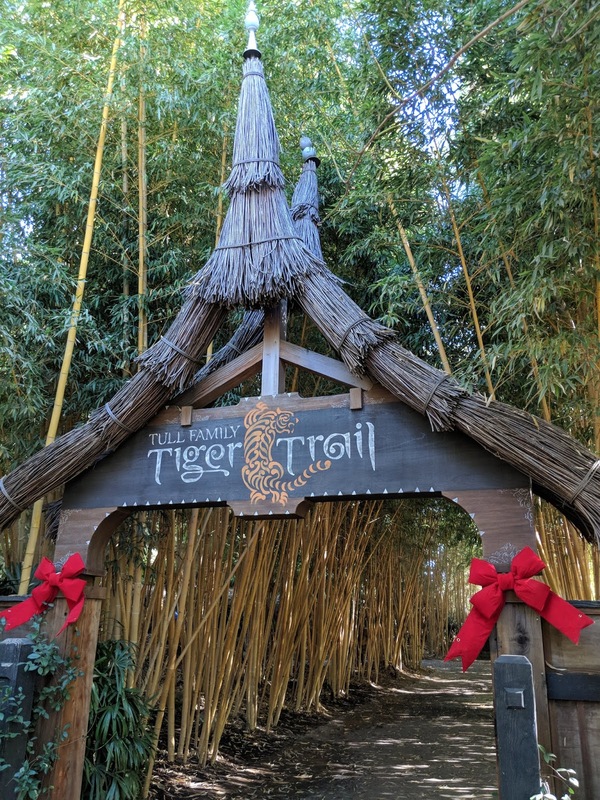 Admission is also required for nonmembers, making the total with admission $103.95 for Adults and $63.95 for children. 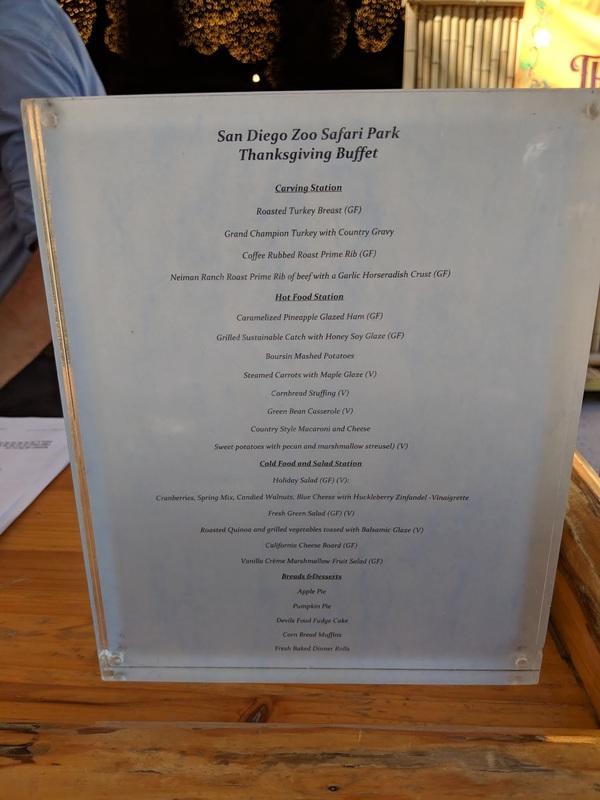 Tickets are on sale now at the San Diego Safari Park website. 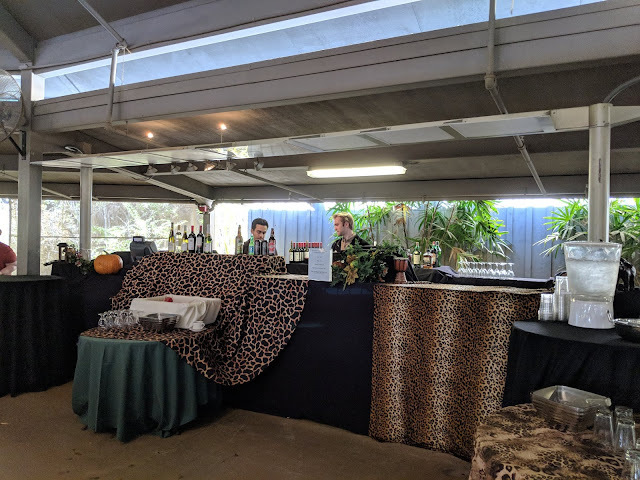 The backdrop for the event at the Hunter Nairobi Pavilion is very nice and the event didn't feel crowded at all. 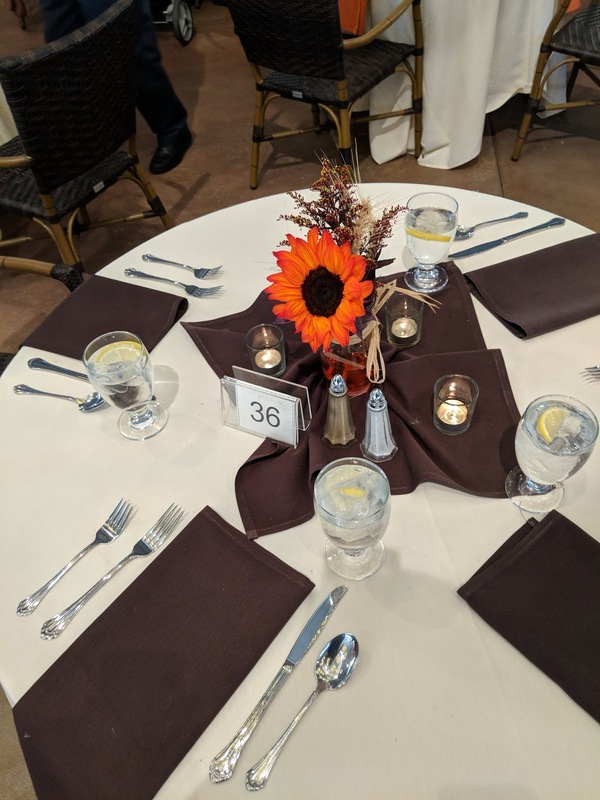 Once you arrive, you'll be seated at your own reserved table, set according to the guest count. 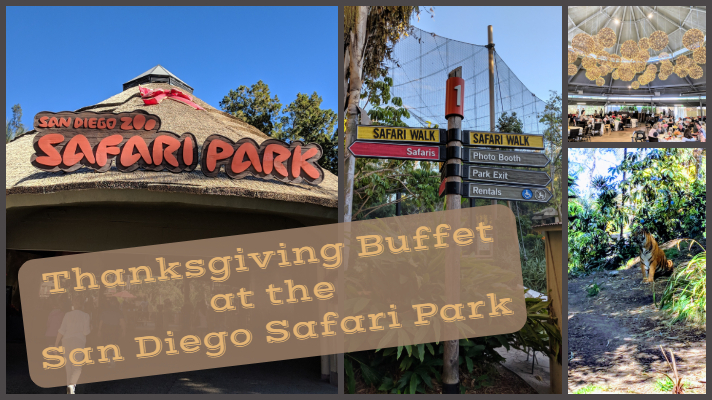 We decided on attending the earlier buffet for lunch and then had the whole afternoon to explore the Safari Park which worked out great for us. 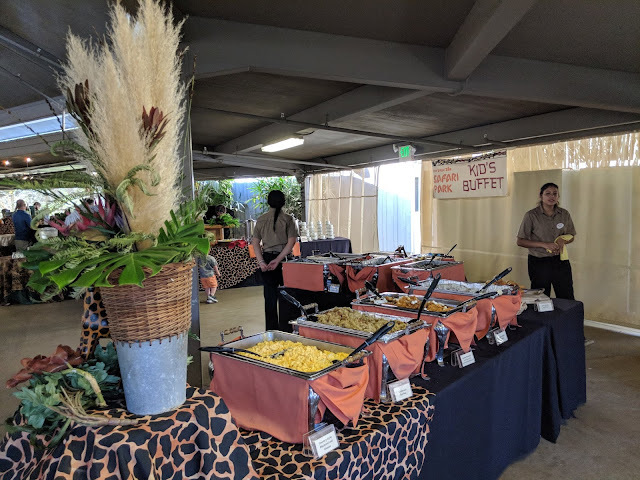 The Buffet Selection is immense and there is something for everyone, with a small kids buffet setup as well with favorites like chicken nuggets and other finger foods. The drink selection is nice and varied as well. Honestly, there is so much selection of food, including classic Thanksgiving items, as well as many other options for tastes of all kinds. 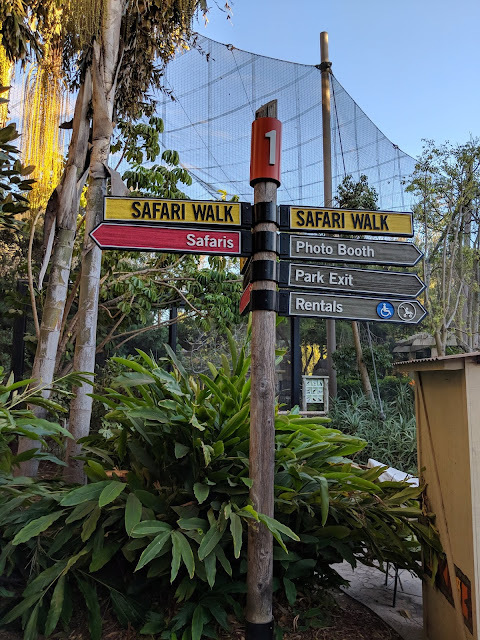 After your meal (or before depending on the time selected), be sure to enjoy the Safari Park and all of the wonderful exhibits and trails, also among less crowds. 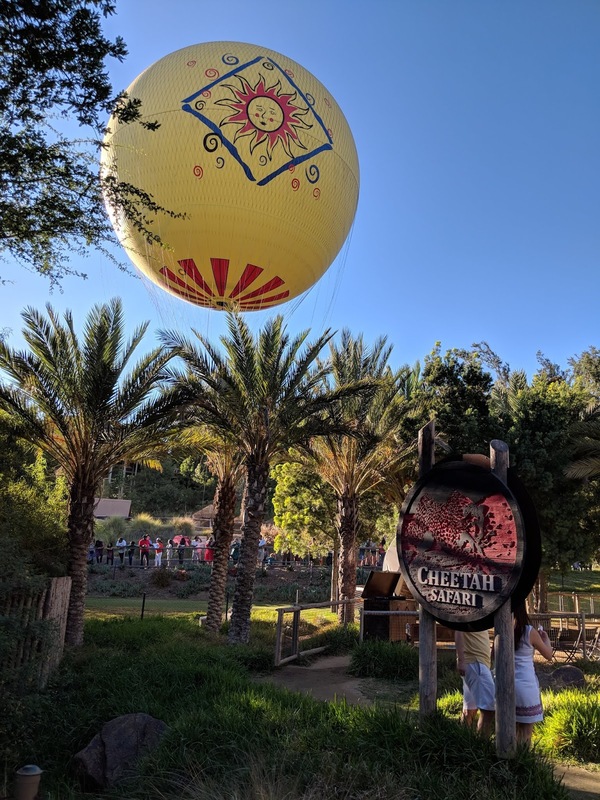 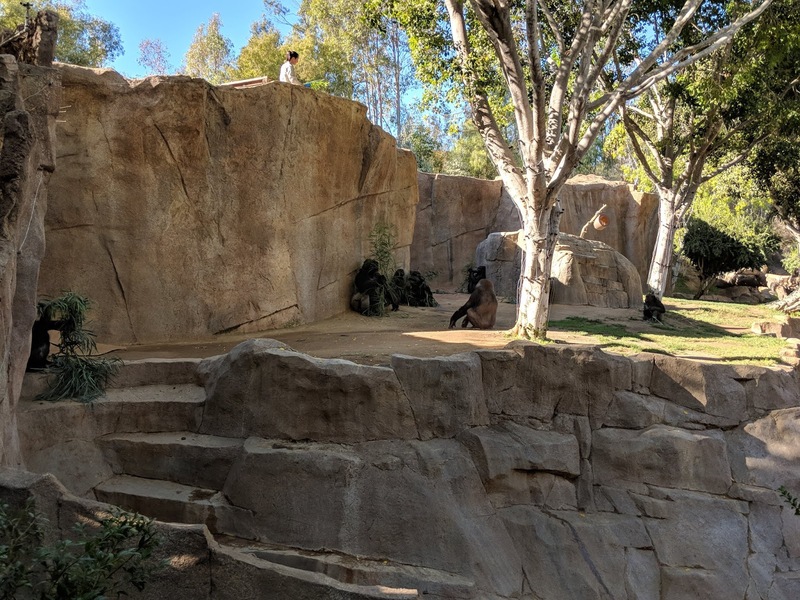 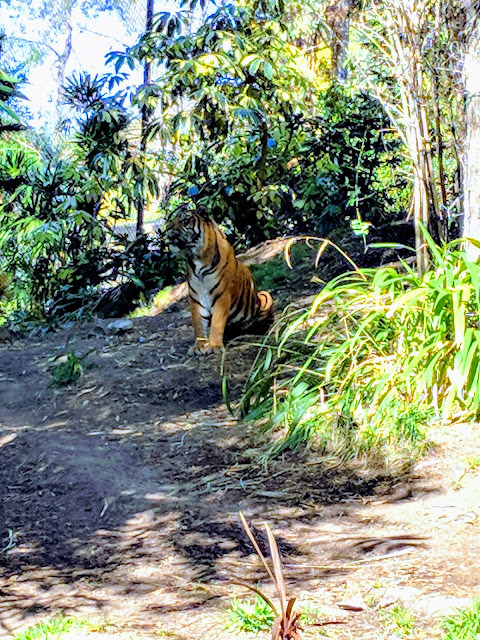 If you've been to the San Diego Zoo before, the one thing you'll need to know is that the San Diego Safari Park is even larger and more spread out, but offers a lot more activities and safari tours out to the open field enclosures to see the animals.